In 2014 I was delighted to welcome a new sponsor on-board, Champagne Pol Roger. 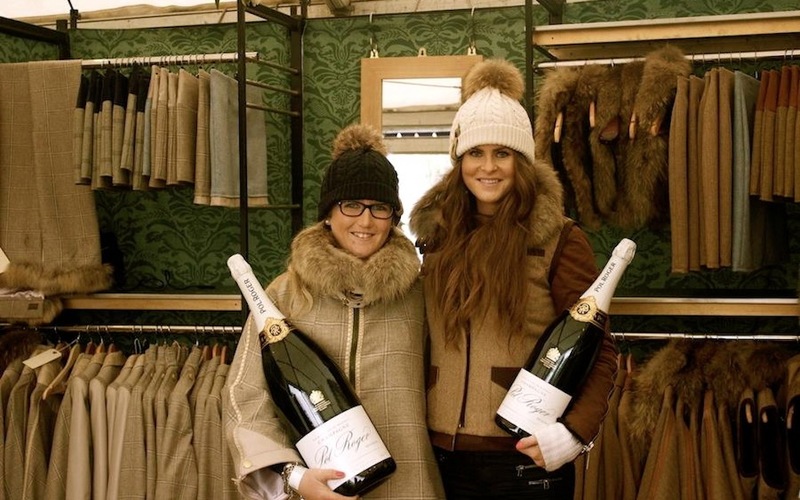 I feel honoured to have been chosen as a Pol Roger brand ambassador, alongside Harry Meade, to support the “significant investment” that they have made in becoming the official Champagne partner of the FEI European Eventing Championships 2015 at Blair Castle, 10-13th September, in the Scottish Highlands. Champagne Pol Roger has been producing exceptional champagne for over 165 years. The house remains small, family-owned, fiercely independent and unrivalled in its reputation for quality. The Maison owns 91 hectares of vineyards in prime sites across the Vallee de la Marne, Montagne de Reims and Côte des Blancs. The cellars run for 7km and the deepest, known as the ‘cave de prise de mousse’, is at 34m below street level where the temperature is 9°C or less, thus prolonging fermentation and contributing to the unmistakeable quality and style of the wines and their famously fine bubbles.